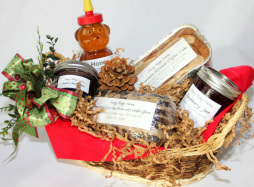 Delightful Gift Baskets for Holidays or any special occasion. 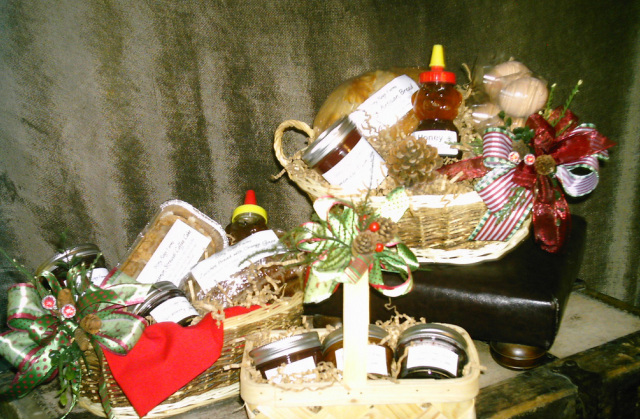 Gift Baskets also make wonderful hostess gifts!. We have several styles to choose from or you may custom design your own. Tells us exactly what you'd like in it, or simply give us an idea and a price range. Keep timing in mind when planning your baskets. 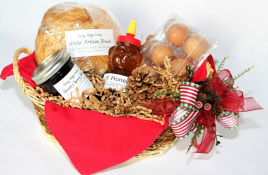 If it is not possible for you to give them right away or to refrigerate them, call and ask about new options that are now available, like homemade mixes for pancakes and cookies, meat rubs and more. 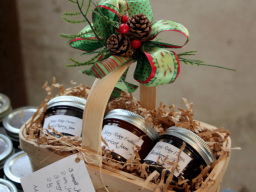 Basket containers and ornamentation may vary slightly, depending on availability, which may cause a slight fluctuation in the price of each gift basket. Therefore the prices listed will be a near approximation. 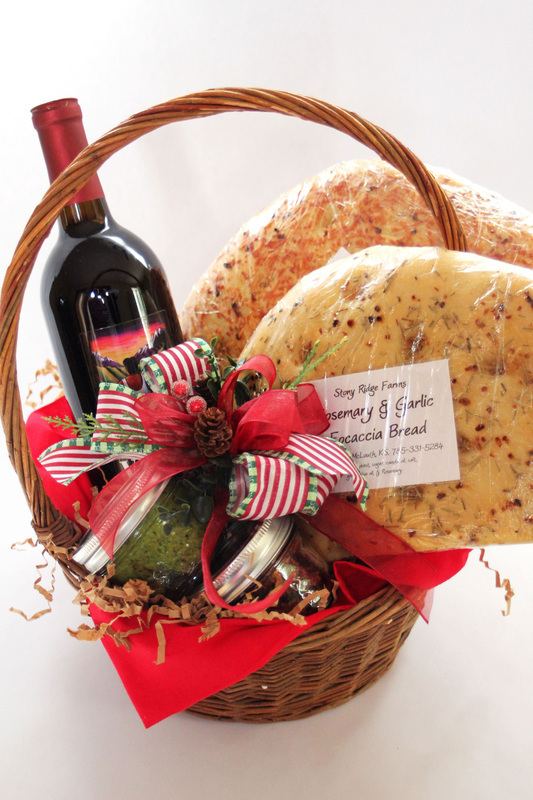 Order a Petite Italian Dinner basket for $27.50. 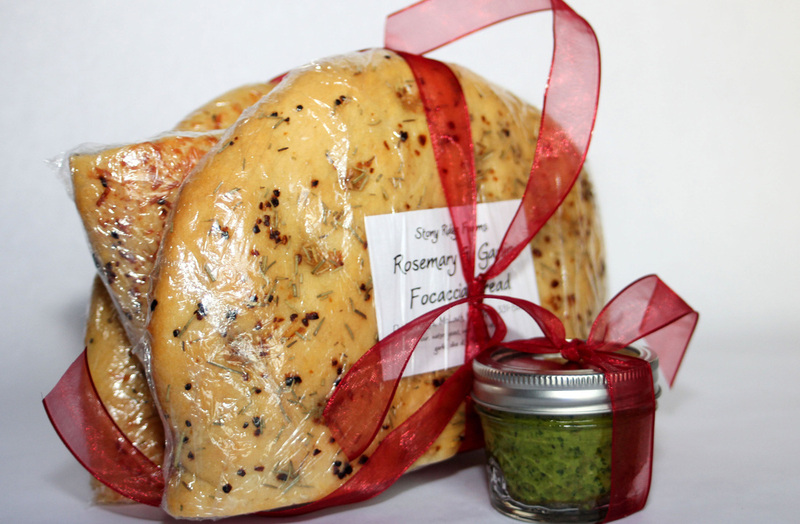 It contains your choice of one half loaf (rather than three) of the Focaccia Bread, but the rest is the same. Add the additional $3.00 to include the Olive Oil. These are just a few of the things we can do for you. We can make it as big or small as suits your needs. Special delivery options may also be available. Please order in advance and allow plenty of time to complete your order. Call for more information!